Venerable East Coast potato grower using cutting-edge metal detection technology to maintain optimal product safety and quality control. Allan Potato Handling Equipment Ltd.
Every generation seems to have its specific defining moment when a poignant event defines a culture and its people, such as the Apollo 11 moon landing or the tragic events of 9/11 or the shooting of John Lennon. For Thomas Curley’s family, it was the Great Potato Famine that devastated Ireland between 1845 and 1852, marked by mass starvation, disease and caused a mass emigration to the New World. 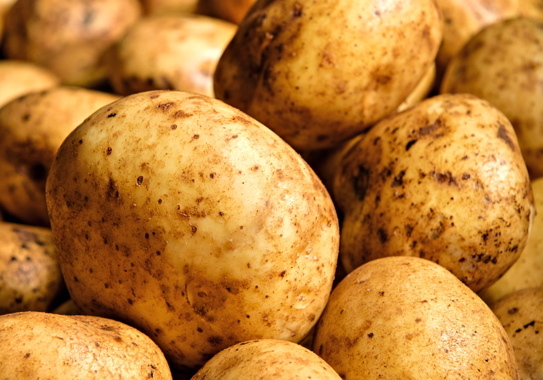 It has been estimated that some 40 per cent of Ireland was solely reliant on the potato as a cheap crop, and after a potato blight ravaged the crops, over one million people died of hunger, with another million leaving the country—reducing total population by 20 to 25 per cent. Originally from Monaghan County in Ireland, Curley emigrated to the Freetown/Summerfield area of Canada’s Prince Edward Island (PEI), establishing a farm growing mixed vegetables. But perhaps because the quality of soil in the area is so suitable, the sixth-generation of Curley family farming at Monaghan Farms Ltd. today grows approximately 1,400 acres of potato-chip potatoes per year. Along with the contract growers, the company grows on more than 3,000 acres of land in Canada’s smallest province. 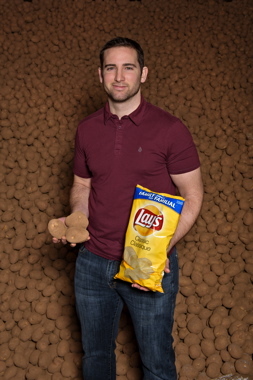 It’s all about the potato for Monaghan Farms Ltd. manager and co-owner Derrick Curley, whose Prince Edward Island business produces a custom crop of spuds for the Lay‘s brand of potato chips. 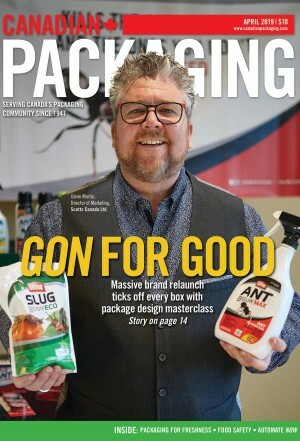 “While the acreage farmed has grown vastly over the years since Thomas Curley first arrived, I’m very proud that his original acreage is still being farmed by the Curley family today,” Monaghan Farm’s operation manager and co-owner Derrick Curley told Canadian Packaging magazine in a recent interview. According to Statistics Canada, in 2014 Canadian farmers helped produce an estimated 4.6 million tones of potatoes, with PEI once again leading the way—harvesting over a quarter of all the country’s spuds. “We’ve been farming this land for 160 years, with myself, my father and his father before him,” relates Curley. “For the past 14 years, after we first started exporting with West-Isle Enterprises to different Frito-Lay processing plants around the world, they have become our biggest customer. “West-Isle Enterprises is our export business partner based out of Tyne Valley, PEI. Owned and operated by Rod Macneill, they handle the export logistics side of the business, while we manage more of the production side,” he explains. Today, Frito-Lay Canada/International and its nearly 50 different brands of Lay’s brand potato chips are made with potatoes from Mongahan Farms, which ranks as one of PEI’s largest growers. Curley says that Monaghan Farms had previously supplied potatoes to other major food processors Old Barrel/Humpty Dumpty, Cavendish Farms and McCains, but now thanks to its exclusive contract with Frito-Lay, it has grown to become one of the largest exporters of chip potatoes in the world, with about 75 per cent of its potatoes destined for international markets. “There are certainly quite a few established potato farms here in PEI, but Monaghan Farms may be the first such farm to create a large and ongoing export agreement,” he says. “In fact, Monaghan Farms/West-Isle accounts for about 40 per cent of all the province’s raw potato exports shipped outside of the U.S,” he points out. “While our own farm could be considered big, and our quality consistently high, it’s thanks to our geographic location and local weather that we often get that provides a perfect mix of sun and rain,” Curley confides. “Also, the agreement we have with elite potato growers such as Shorelane Farms, Klondike Farms, Linkletter Farms and seed growers Marven Stewart, Heritage Farms and Blue Bay Farms, enables us to consistently meet the product demands of Frito-Lay so that they can produce their potato chips across Asia, the Americas and elsewhere. 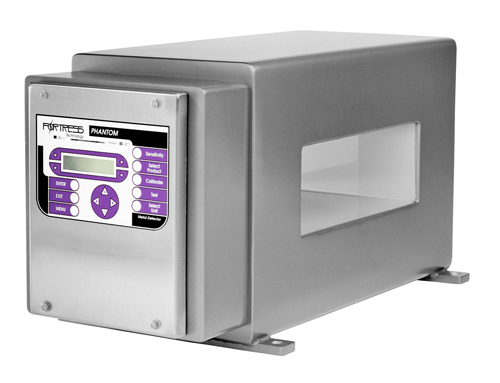 To ensure optimal levels of food safety for consumers and customers, Monaghan Farms added three special Phantom metal detection systems from Fortress Technology to inspect all of its raw products. After being harvested from the ground by wind-rowers and harvesters, the potatoes are loaded onto trucks, unloaded at the Monaghan warehouse, cleaned, graded and piled into a storage bin area. 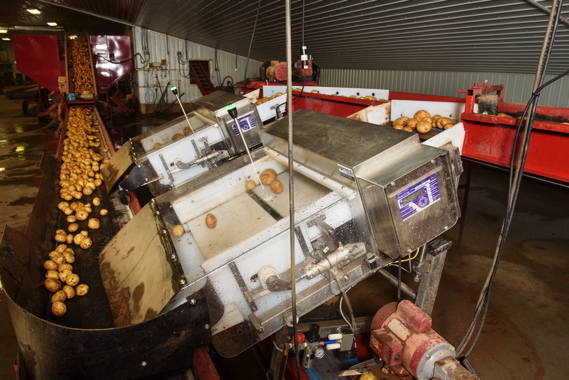 The harvested potatoes are held at a specific temperature, controlled by a computerized ventilation system to heal any wounds the spud may have accumulated during harvesting, as well as to dry out all moisture. “Once that phase is complete, the potatoes are brought down to the proper storage temperature,” Curley relates. 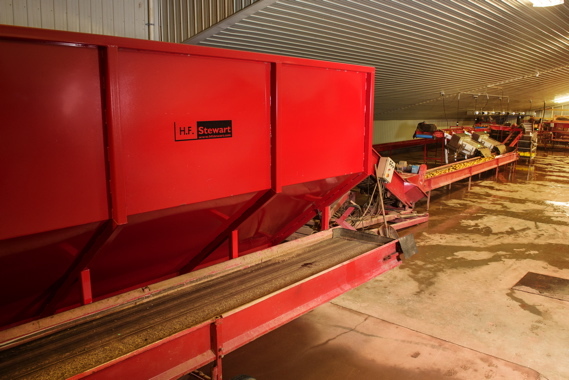 Along with an Even Flow Hopper and Steel Drum washer, Monaghan Farms uses a felt drier for processing of its harvested potatoes, with P.E.I.-based H.F. Stewart supplying all of this equipment. After storage, the potatoes are scooped up from the bins and unloaded inside the washing/grading plant, where the potatoes are washed, destoned, graded and run through a metal detection system before being loaded onto a trailer for direct shipment in bulk or in totes. “We also have an IPM (integrated pest management) division, which performs crop scouting and quality monitoring in the field and in storage,” Curley points out. Curley relates that Frito-Lay has specific requirements for potato sizes, dry matter (solids), internal potato sugar levels (it can reflect in the color of the chip after frying), and various internal and external defects. The farm operates one main grading line—a washing/packing line with capability to load bulk and large totes. a Kerian potato Speed Sizer machine. 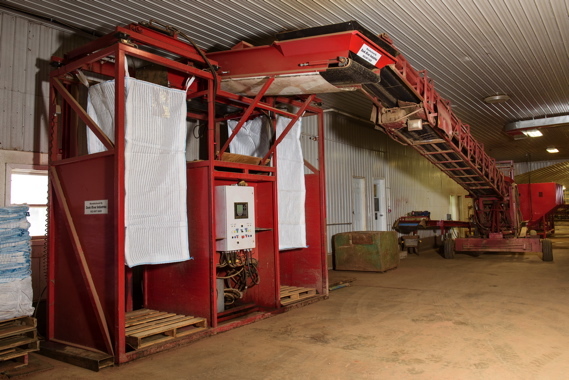 Monaghan Farms uses an automatic tote filler from Dunk River Industries to fill 3,400 pound bags in under two minutes, with an elevator lifting empty bags up to the top, and lowering them slowly as it fills to prevent product damage. Notably, the production line houses three Phantom metal detection systems, designed and manufactured by the Toronto-headquartered Fortress Technology. As Curley explains, food growers don’t usually have such advanced food inspection equipment, opting to leave that responsibility to the actual processors themselves. For Monaghan Farms, the decision to purchase the Phantom metal detection equipment was primarily borne out of urgent necessity. Back in October of 2014, darning needles began showing up in PEI potatoes sold in and around the Atlantic provinces, and while the tampered spuds were eventually traced back to a single farm in the Summerside area, no arrest was ever made. At the time, nearly one million pounds of potatoes were recalled and checked for tampering, and all seemed well until March of 2015, when more needles were discovered in potatoes grown at other farms. While many local PEI growers banded together to offer a $500,000 reward for the arrest of the culprit(s), the case still remains an open police investigation. To better combat the problem of possible product tampering at its farms, many PEI farmers began purchasing metal detection equipment as a means to protect the province’s $1-billion potato industry. 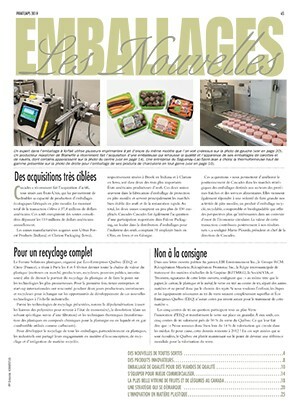 “While we are quite keen to ensure consumers remain safe and the customer’s reputation remains unsullied, maintaining a positive reputation is also extremely important to all of us at Monaghan Farms,” Curley asserts. Installed in the fall of 2015 in time for the harvest, Curley relates that he and his father wanted to take a bit of time to do proper research to see determine which detector worked best for their operation, noting that it was imperative that the farm’s production line not be slowed down. Curley says that since installing the Phantom metal detection systems, Monaghan Farms has continued to run approximately 140,000 pounds of potato per hour, which is about the same speed before installing the food safety equipment. 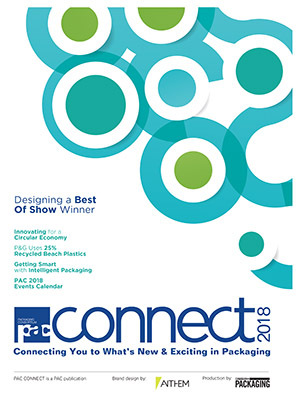 “Fortress Technology provided us with its impressive Phantom metal detection unit that ensured sensitive detection, but did not limit our productivity by generating numerous false positive rejects,” explains Curley. The Bulk Potato Slider Detector System is designed to handle loose, rolling potatoes, and features a Flap gate reject system and UHMW trough assembly. The Bagged Potato Detector System is designed for five- and 10-lb bagged potatoes and features a Belt stop alarm reject and complete conveyor assembly. The Bulk Potato Retract Detector System for bulk product inspection, featuring a Retract reject system and a complete conveyor assembly. All systems also include BSH rugged casing—designed to provide better stability and performance in harsh environments where rolling potatoes are often banging into things. In addition, Fortress Technology provides all its customers with local service and support; a test sample kit for calibration; quick delivery; a ‘never obsolete’ commitment (meaning Monaghan Farms will always be able to get parts and service for the life-time of their detector); performance certificate; startup and training; and two-year warranty on the detector head. 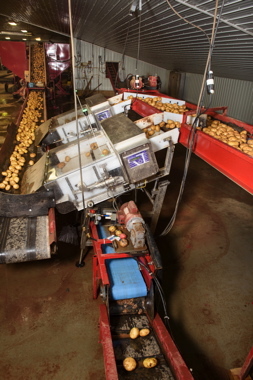 For its part, Monaghan Farms determined that the Bulk Potato Slider Phantom metal detection system would be its best choice, with Curley being advised by Fortress Technology that it would provide best sensitivity levels for the rolling potatoes. The basic Fortress Technology Phantom inspection system (pictured above) was retrofitted to work well with the potato industry. As Fortress explained, metal in a rolling object provides a stronger signal than a stagnant metal object, with the chosen option providing Monaghan Farms with a lower sensitivity, while still providing metal detection accuracy with minimal false positives. 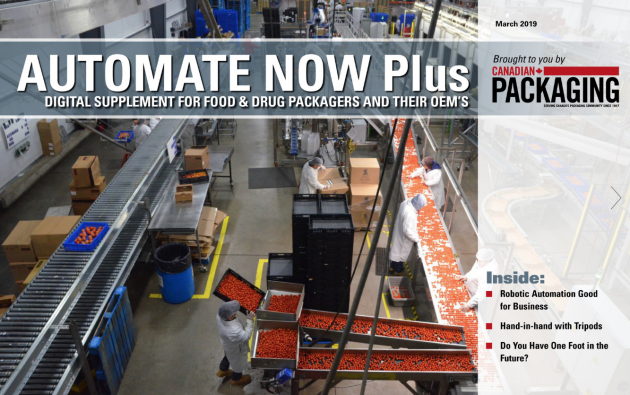 Utilizing a simplified conveyor system that could easily be integrated with their existing systems, it has a low-maintenance UHMW slider bed, and would provide the optimal cost-effective solution. Purchasing three Phantom metal detection units elicited very positive feedback from Frito-Lay, according to Curley. The farm production and packaging operation of Monaghan Farms is Canada GAP Certified, meaning it follows strict criteria to ensure its food products are 100-percent safe as they move through the product’s life-cycle. “Our formal auditing body is SGS Canada, but we are also required to partake in random audits through worker safety compensation to ensure we also provide a safe working environment for our employees,” says Curley, crediting the efforts of his employees for making Monaghan Farms such a successful enterprise. Two Bulk Potato Retract metal detection systems used by Monaghan Farms at its Prince Edward Island facility, are specially-designed from a basic Phantom metal detection unit specifically for the potato processing market segment. According to Curley, the farm also attaches a great deal of importance to environmental stewardship. “The ALUS (Alternative Land Use Services) is a very effective program that was developed to retire higher-risk areas such as higher slope areas near waterways, as well as to ensure that we create an environmental farm plan that we strictly follow during crop production. 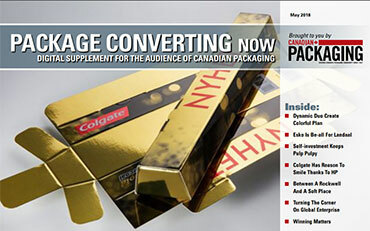 “Our industry can be very competitive,” reflects Curley, “especially when it comes to our international markets. “We typically are not directly competing with local suppliers in the international markets, as processors generally have supply gaps when local growers can’t supply potatoes in certain times of the year due to timing differences in growing seasons. “But we are competing against a number of exporters from various countries such as Australia, U.S., Egypt, and some European countries,” he concludes, “which is why consistent high quality is such a priority for us. “It’s also why we appreciate the excellent food safety reliability we achieve with our Fortress Technology metal detection units,” he concludes.